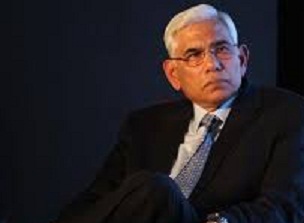 The Committee of Administrator (CoA) chief Vinod Rai has categorically said that the Board of Control for Cricket in India (BCCI’s) Anti-Corruption Unit (ACU) will be keeping a hawk eye on the inter-State player transfers in order to “clamp down on malpractices”. A report published in the The Indian Express stated that with the introduction of North East (NE) states in mainstream domestic cricket, there have been multiple allegations of small time cricketers from Northern India trying to use unfair means to get into the new first class teams. The report further stated that it has been learnt that a lot of small- time cricketers from Delhi and adjoining areas are allegedly offering money to get berths into the new State teams which are in need of professional cricketers. “The BCCI anti-corruption unit has been told to monitor and if they find anything they will report the matter,” Rai said. The former Comptroller and Auditor General of India (CAG) chief also informed that BCCI ACU unit will be beefed up as the current three-member team is distinctly inadequate to keep a tab on corrupt activities.